The K-Force Light WideR 25 UD Carbon wheelset has a claimed weight of 1566g in 29er form and sells for $1299. 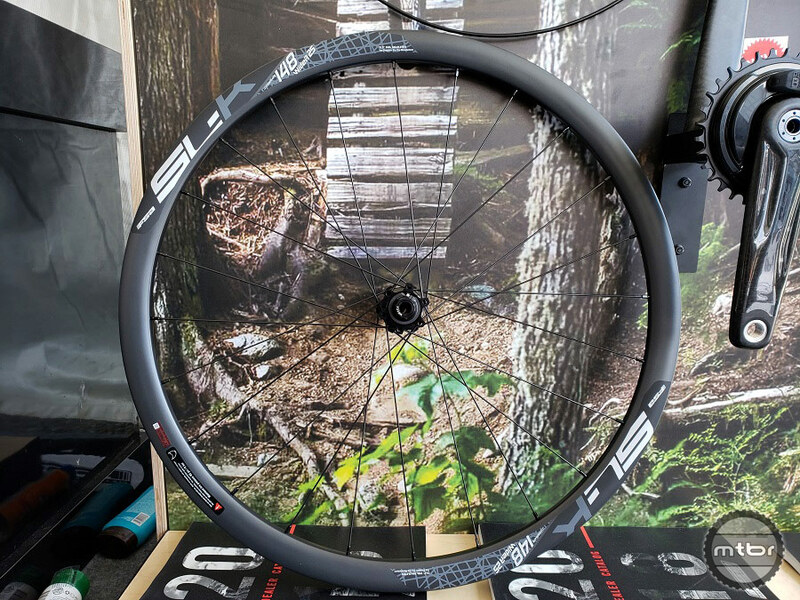 FSA (aka Full Speed Ahead) is moving full steam ahead with two new XC-focused mountain bike wheels, plus something unofficial and wider that Mtbr spied tucked in the back of the display rack. 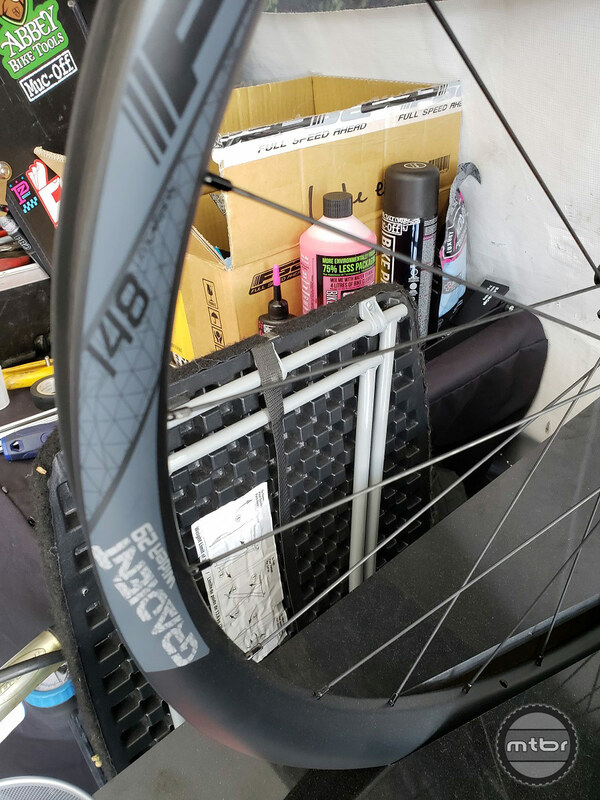 The K-Force Light WideR 25 is a lightweight 24-spoke carbon wheel featuring bladed spokes, 6-pawl hubs for fast engagement with preload adjustment, two-row ceramic cartridge bearings, and a hookless bead. 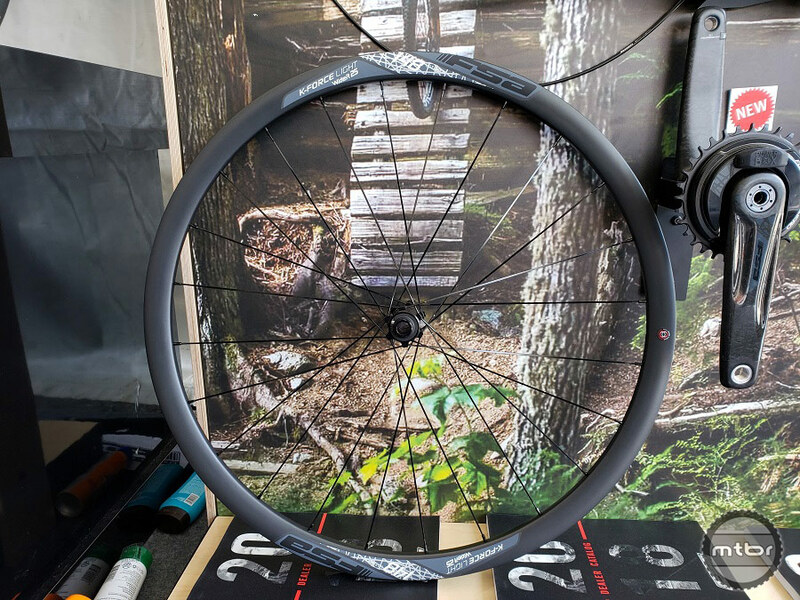 The matte black rims have a 25mm internal width, 30mm depth, and are available in 27.5 and 29er. The wheel weighs in at a respectable 1566g in 29er form and sell for $1299. The FSA SL-K WideR 25 UD Carbon Wheelset weighs 1602g in 29er form. Price is $1199. The new SL-K WideR 25 shares many of the same features as the K-Force Light WideR 25, but uses standard round double-butted spokes, which increase weight slightly. The rims feature a glossy black finish and are offered in 27.5 and 29er. Claimed weight is 1602g for the 29er. Price is $1199. Spy shot of a new WideR wheel. Mtbr also spotted a wider more robust looking wheel tucked in the back of the FSA booth. No information was available, but we’d wager more news will be available around the time of Fall Outerbike. This may be of interest to riders like me who habitually choose bad lines and like to go fast. The Flowtron dropper lever looks good and offers three levels of actuation resistance. 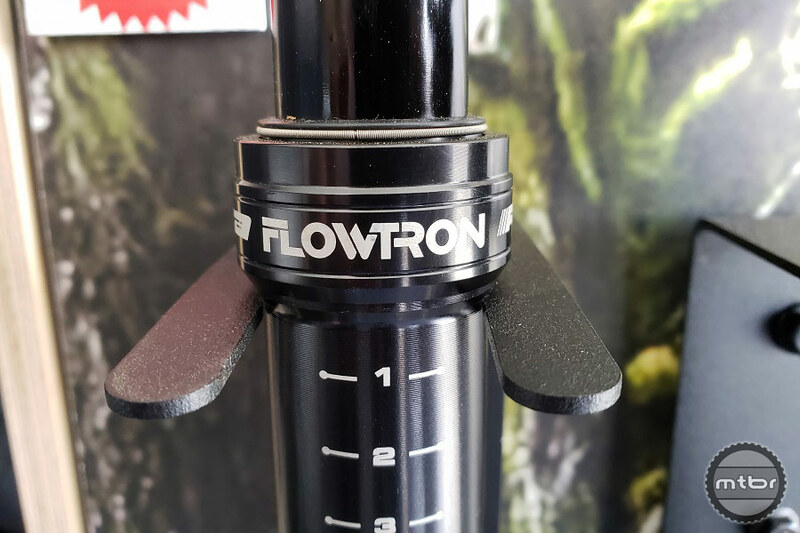 FSA also introduced an updated Flowtron dropper post. Features include an external cam that pushes a release button on the bottom of the seatpost which helps keep internal mechanisms fully sealed and away from dirt, prolonging service intervals. The cam has a 3-position adjustment that sets lever tension. Some riders prefer a light touch lever while others prefer a stiffer throw. With three tension levels there is a setting for everyone. 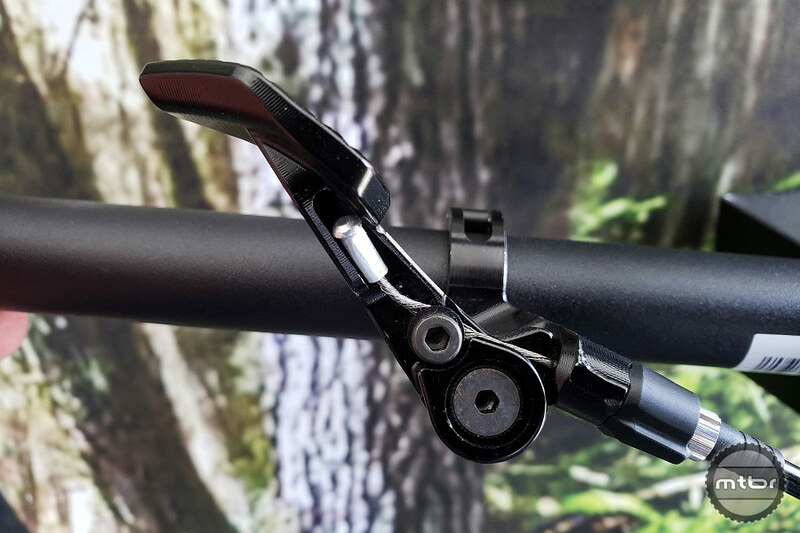 The lever is compatible with most SRAM and Shimano brakes, and the dropper is available in 125mm (421mm length, 285mm insertion depth, 630g with remote) and 150mm (446mm length, 320mm insertion depth, 660g with remote) travel lengths. Both 30.9 and 31.6 diameters are available. Price is $250. The Flowtron was named after a famous trail in the Seattle area. For more information, visit www.FullSpeedAhead.com. This article is part of Mtbr’s coverage of the 2018 Sea Otter Classic in Monterey, California. For more from Sea Otter CLICK HERE. K-Force Light WideR 25 UD Carbon wheelset. Weight 1,566g 29”. MSRP $1428.99. SL-K WideR 25 UD Carbon Wheelset. Weight 1,602g 29”. MSRP TBA. “Spy” shot of new wideR looking wheel. Look for more details around the time of Outerbike. 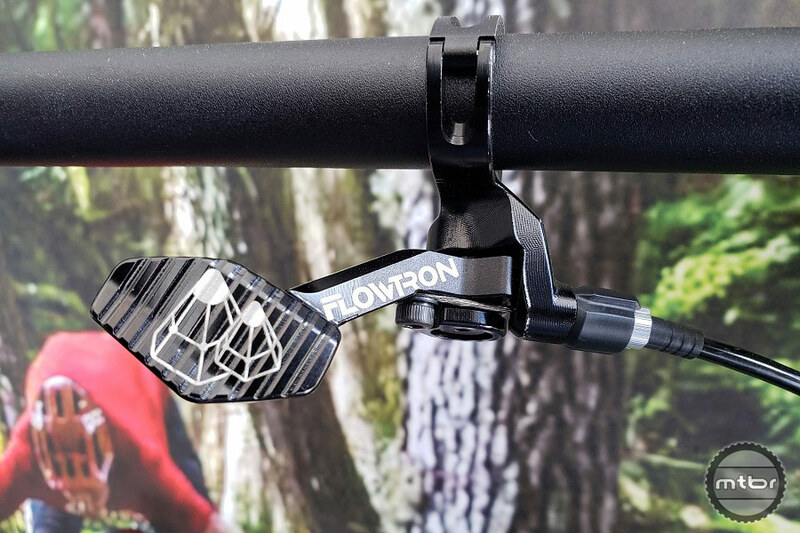 Flowtron dropper lever is stiff, looks good and offers 3 levels of push tension. Flowtron dropper lever with easy cable release. The Flowtron was named after a famous trail in the Seattle area. It is available in 125mm and 150mm travel lengths. MSRP $249.99. 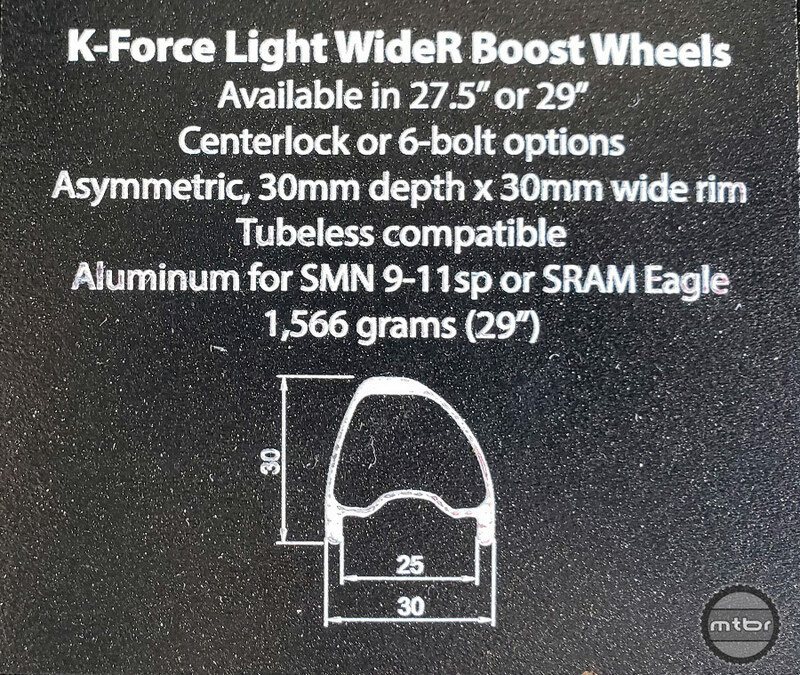 K-Force Light WideR 25 Wheel Specs. 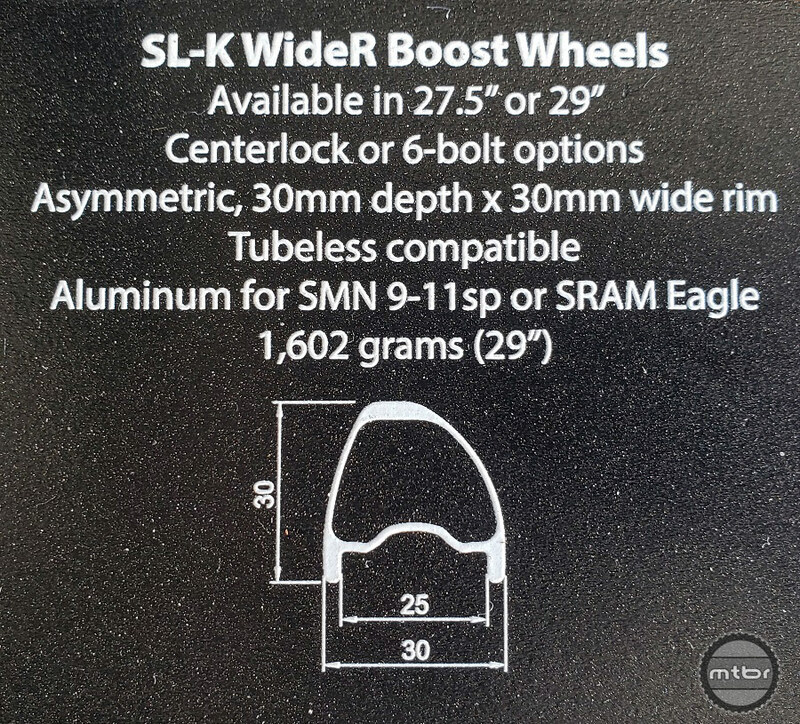 SL-K WideR 25 Wheel Specs.